With 2015 coming to a close, many are starting to think about end of year responsible sourcing performance. 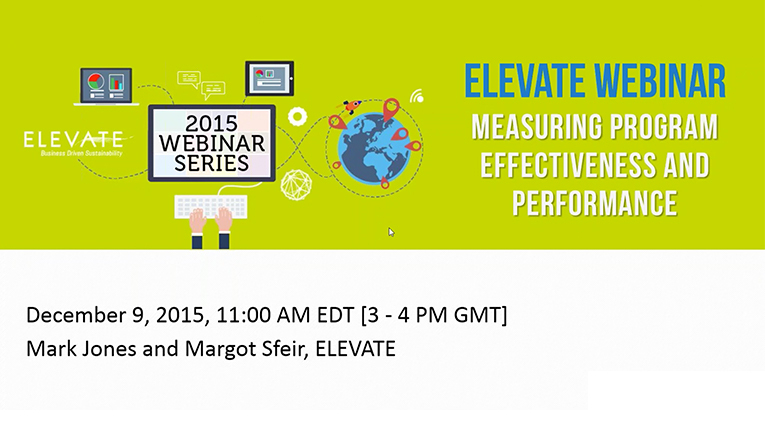 ELEVATE advocates for CSR performance metrics that measure impact and are aligned with program goals. It is important to be able to articulate program accomplishments and impact, both internally and externally, but without a clearly defined effort to measure success, retailers and brands struggle to demonstrate program effectiveness beyond risk mitigation. How should we assess the progress of our social performance program? How does this differ from current approaches? Are we getting value for the money spent? Come join Mark Jones and Margot Sfeir as they explore these questions and continue our conversation on performance measurement and impact.